Rangers can march all the way to the SPL title if they beat Celtic to the signing of Alberth Elis this month. The Hoops are reportedly fighting English Championship big guns West Brom to land the Houston Dynamo right winger before the 31 January cut-off. According to Football Insider, the Baggies have made an approach for the 22-year-old and the MLS club are likely to cash in if their £5million valuation is met. In reality, the United States franchise would probably sell the 31-times Honduras international for close to half that amount, which would bring him into the territory that Rangers and Celtic could afford. 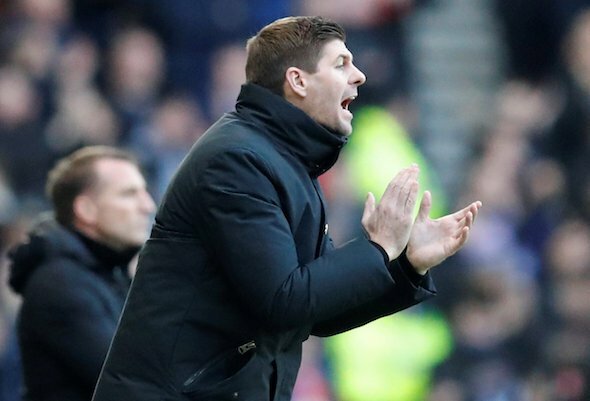 Certainly, the Hoops could do so comfortably, given their healthy financial state, but Rangers have demonstrated a willingness during the Dave King era to spend big on transfers, as the loan capture of high-earning Jermain Defoe has proven beyond doubt. Elis is at the other stage of his career to proven marksman Defoe, but his record over the last two years has had clubs across Europe beating a path to his door. In 56 games in the MLS for Houston, Elis has banged in 21 goals and supplied 14 assists. He is widely considered one of the outstanding players based in the United States and was named in the MLS All-Star squad for the game with Juventus last summer. Rangers have plenty of attacking wide players, with Jamie Murphy soon set to compete with Daniel Candeias, Ryan Kent and Glenn Middleton, but none has the blistering pace of Elis, or his potential to wreak havoc. It would be a huge boost to Rangers’ hopes of ending Celtic’s seven-in-a-row pursuit of they land Elis.